Brazen Hussies is holding a special screening of the acclaimed documentary SHE’S BEAUTIFUL WHEN SHE’S ANGRY (2014), a film about the brilliant, outrageous women who spearheaded the 1960’s women’s liberation movement in the USA, this comming Sunday 7 April 2019 at 10:30am. The film will be followed by a Q & A Session with BRAZEN HUSSIES Director, Catherine Dwyer. 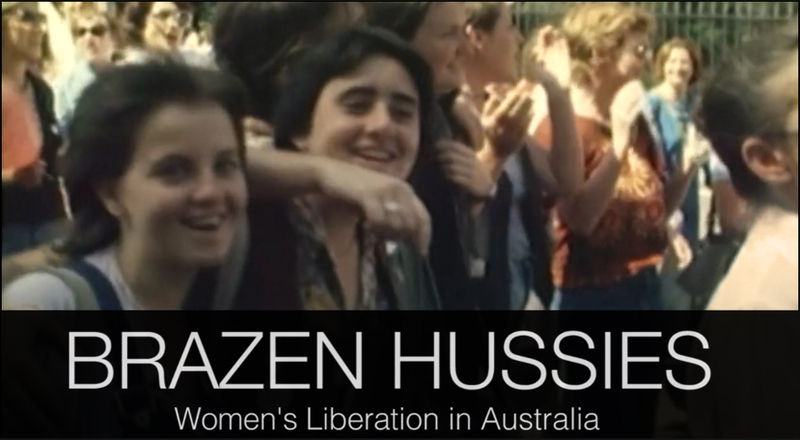 All ticket sales will contribute to the production funding of the feature documentary BRAZEN HUSSIES, about the bold women of the Australian Women’s Liberation Movement between 1965 – 1975. Funds raised will be matched dollar-for-dollar by Creative Partnerships Australia’s MATCH Lab program. Thanks to Cinema Nova for generously providing the cinema venue. If you can’t attend but would like to contribute to fundraising for BRAZEN HUSSIES, tax-deductible donations can be made via Documentary Australia Foundation. The producers need help to make sure the film is completed. A campaign is underway with the goal of raising $100K in public donations to supplement the overall production budget of $950K and any contribution you can make will be gratefully received. Here’s a link to the donation page. Donations are tax deductible. Watch the trailer for Brazen Hussies, which is currently in production. For some of us, it’s a trip down memory lane; for others, it’s an eye opener. This film uncovers a rich history of bold women who kick-started the Women’s Liberation Movement in Australia in the late 1960s and 1970s. In addition, it is being crafted by a team of exemplary female filmmakers. Brazen Hussies proudly boasts an all-female filmmaking team, including: Writer/Director Catherine Dwyer, Producers Philippa Campey (Bastardy, murundak: Songs Of Freedom) and Andrea Foxworthy (On Her Shoulders, Indonesia Calling: Joris Ivens In Australia), Executive Producer Sue Maslin (The Dressmaker, Japanese Story, Jill Bilcock: Dancing the Invisible), Consultant Larissa Behrendt, and Script Editor Annette Blonski. There are many ways to support this project. Share the love or donate if you can.